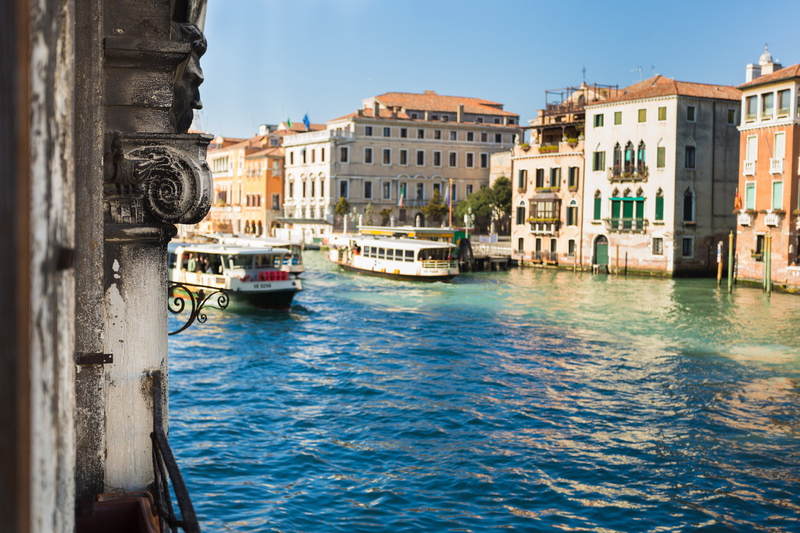 Canal View, City View, Water View. 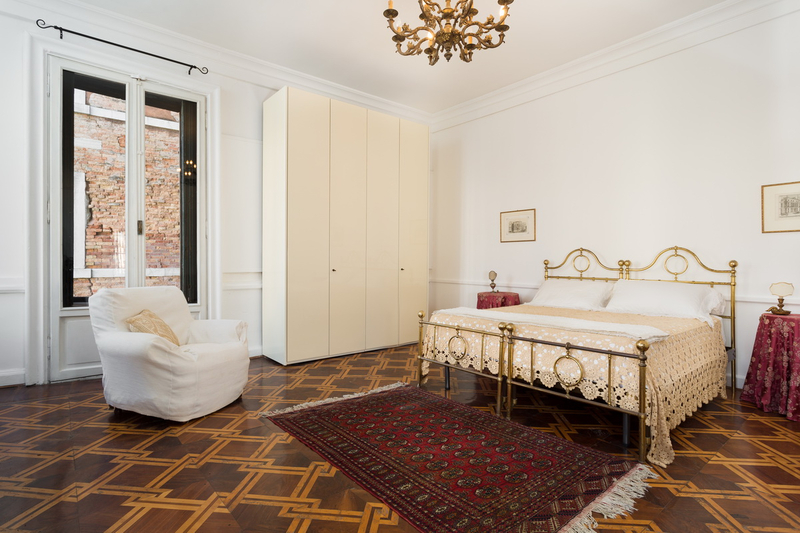 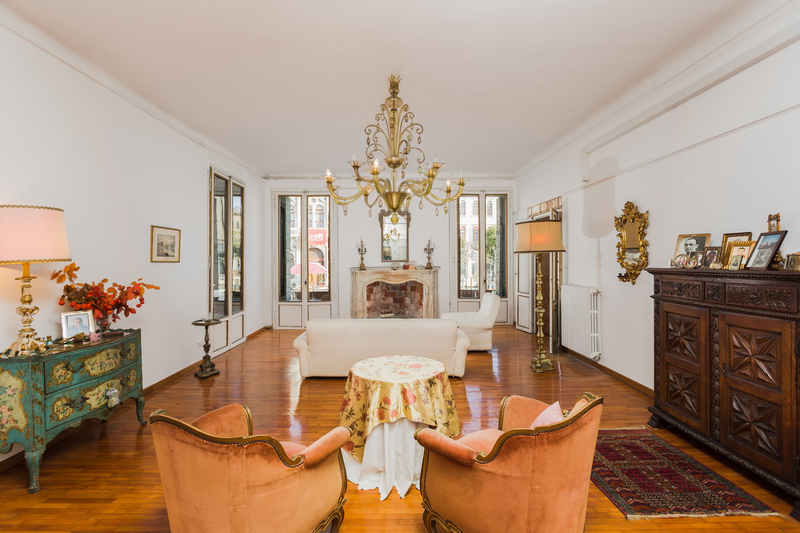 A little more than 1 km away from the convenient parking area of Piazzale Roma and the famous Piazza San Marco, the apartment has a magnificent view of the Canal Grande. 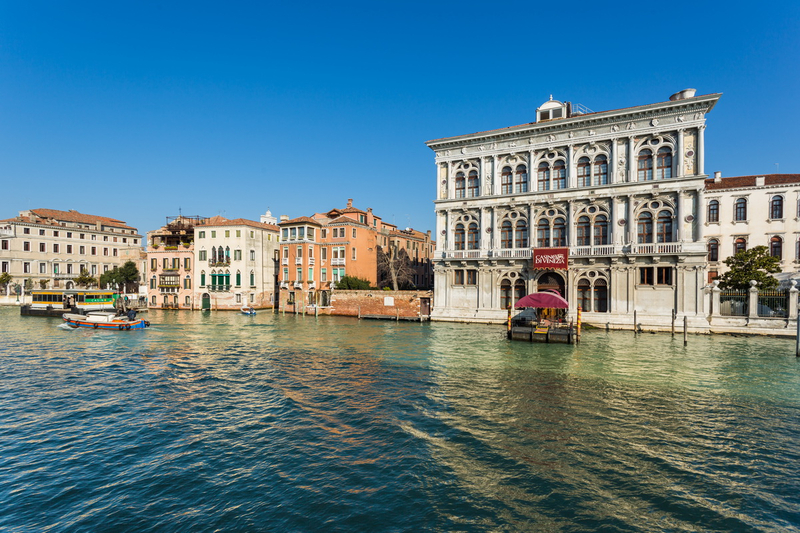 We are in the heart of Venice, one of Italy’s most fascinating cities of art, in a convenient and very central location, on the first floor of an ancient protected building. 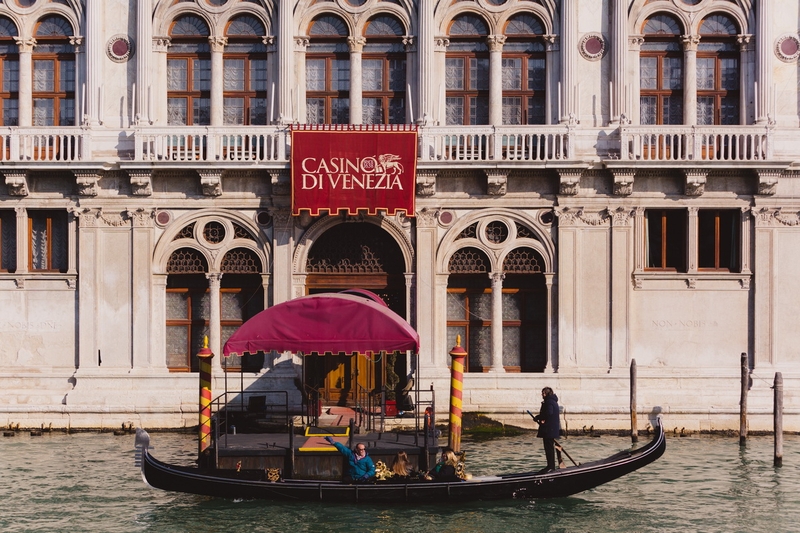 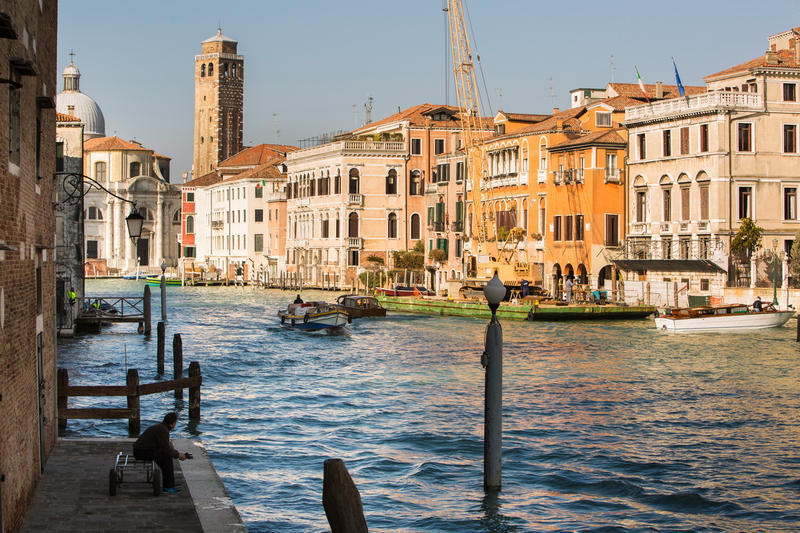 From the city, which itself offers artistic and cultural attractions throughout the year, it takes only half an hour by car to reach Treviso (40 km) and Padua (41 km), one hour to get to Vicenza (75 km), and about one hour and a half to Verona (115 km). 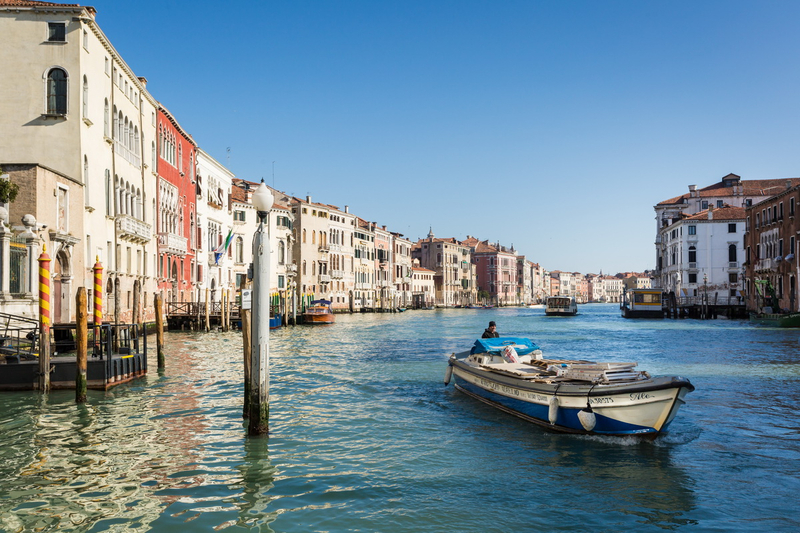 Venice’s Marco Polo airport is only 13 km away, the Treviso airport is 48 km away (half an hour by car), while the Verona airport is one hour and twenty minutes away (128 km). 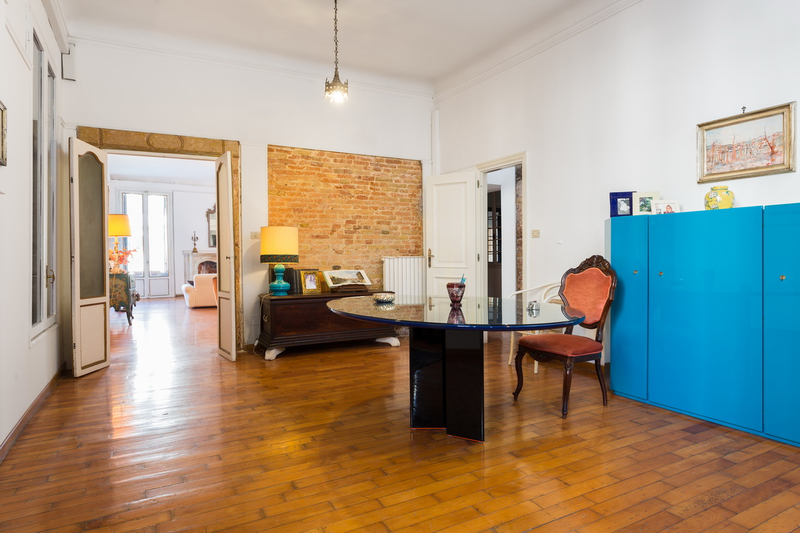 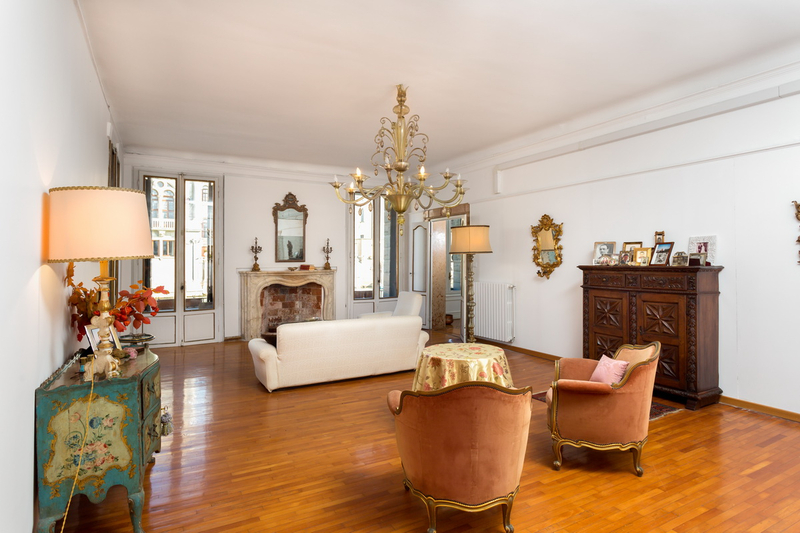 Description of buildings The apartment, with a gross surface of 321 marketable sqm, is on the first floor of a protected building, designed and built by famous architect Baldassare Longhena, in the first half of the 17th century. 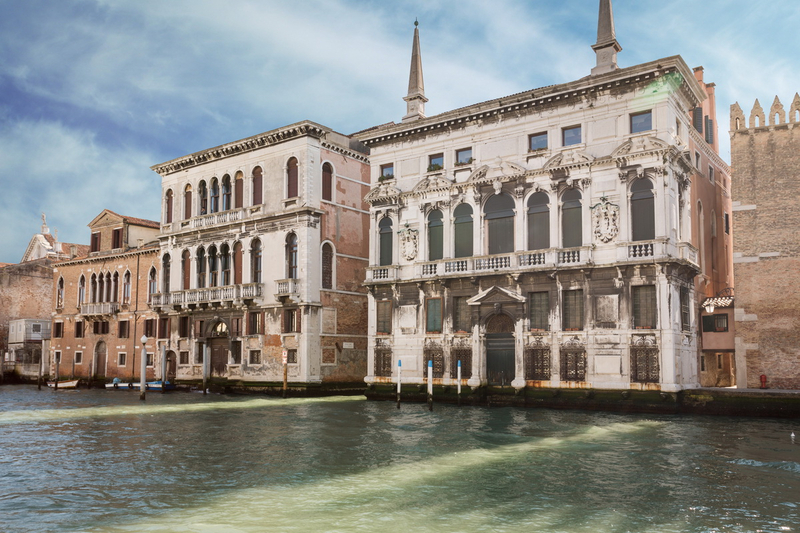 With three facades, the main of which overlooks the Canal Grande, the building is very well lighted, an unusual feature in the historical centre. 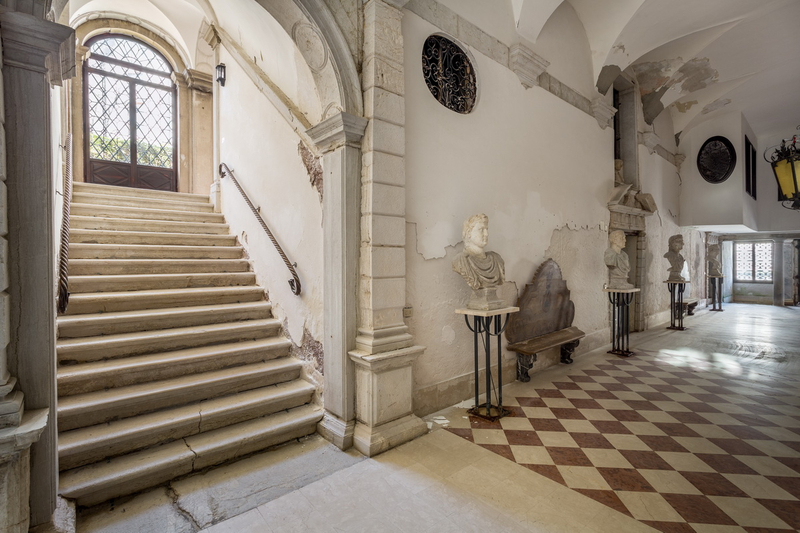 The entrance of the building opens up on a large and luxurious hall, from which a majestic staircase leads to the private apartments. 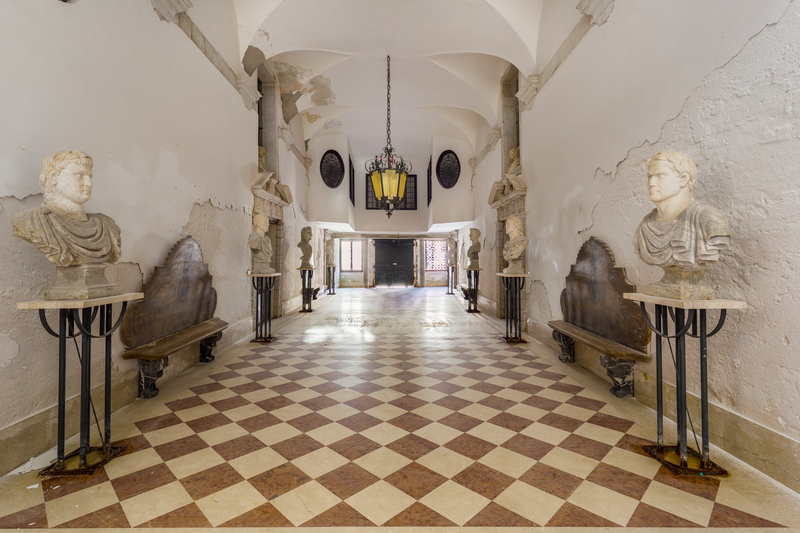 The arrangement of the rooms is very characteristic: the rooms are located one after the other, on the outer side of a corridor that overlooks the internal patio. 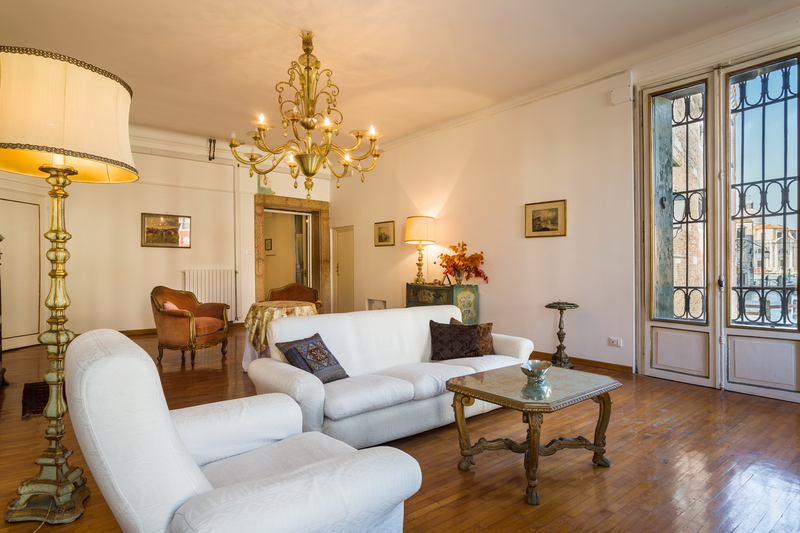 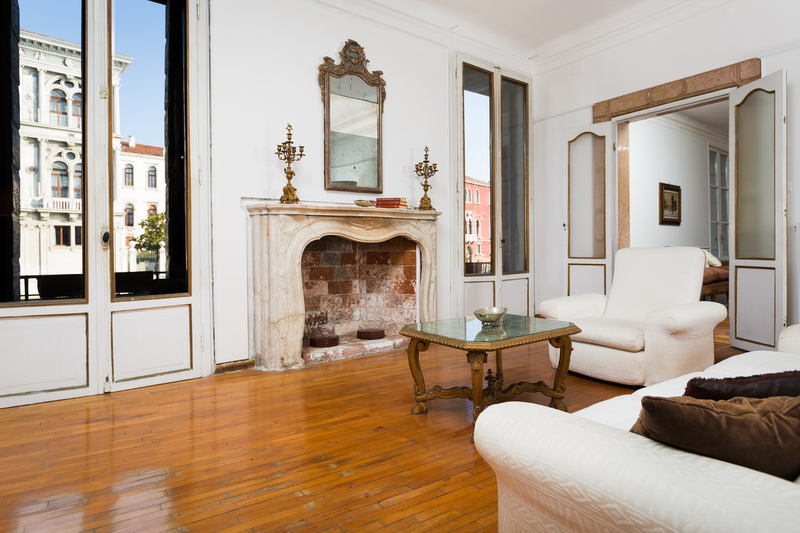 The apartment is currently composed of a large living room with an original 18th-century fireplace and overlooking the Renaissance building that hosts the Casinò di Venezia, a study overlooking the Canal Grande, a kitchen, 3 bedrooms, a sitting-room (that could become the fourth bedroom) and 4 bathrooms. 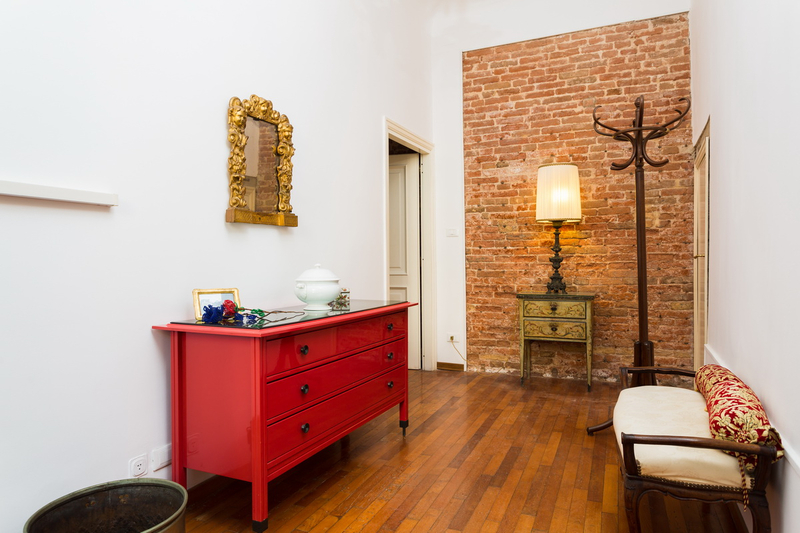 State and finishing The building, which dates back to the 17th century, is in excellent conditions. 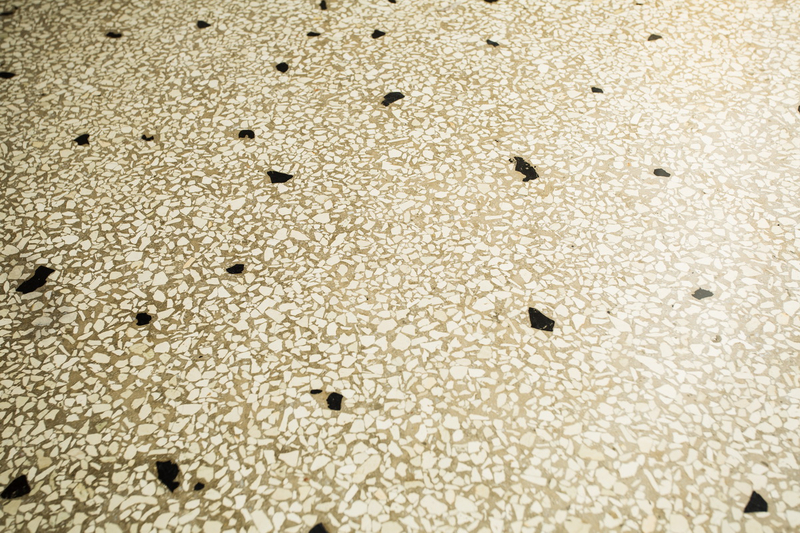 It was renovated twenty years ago and has since then been submitted to periodical maintenance interventions. 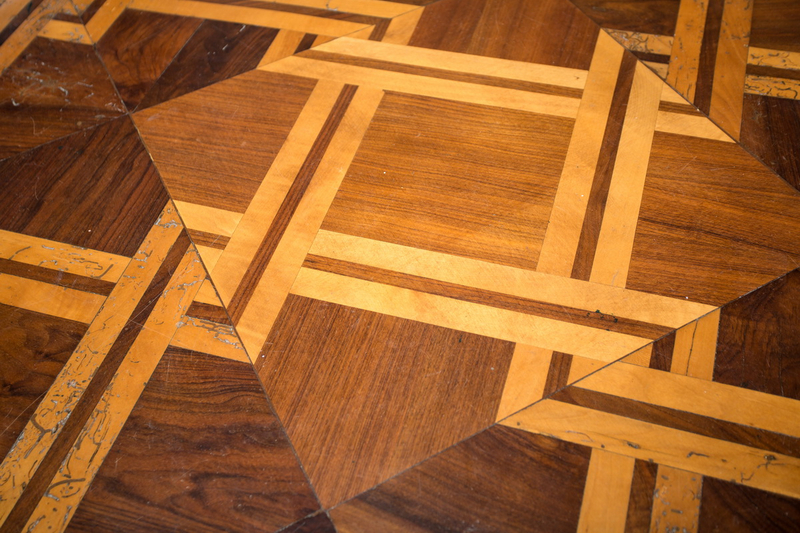 The original floor is very characteristic, with wood inlaid squares, parquet and grit. 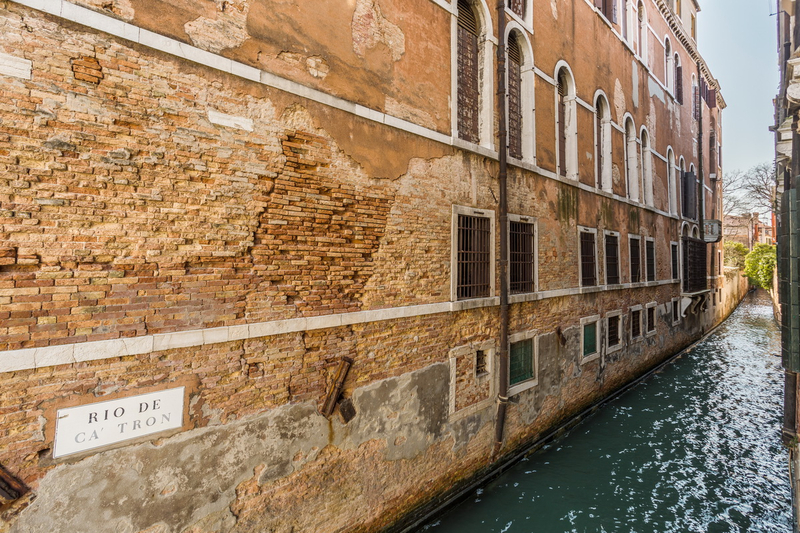 In the corridor and the living room, there are some walls with typical Venetian bricks in plain view. 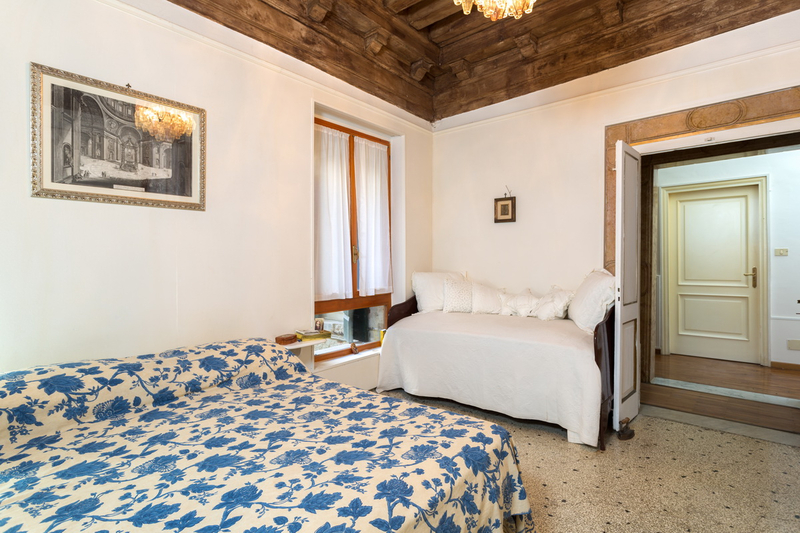 One of the bedrooms has a beautiful wooden ceiling. 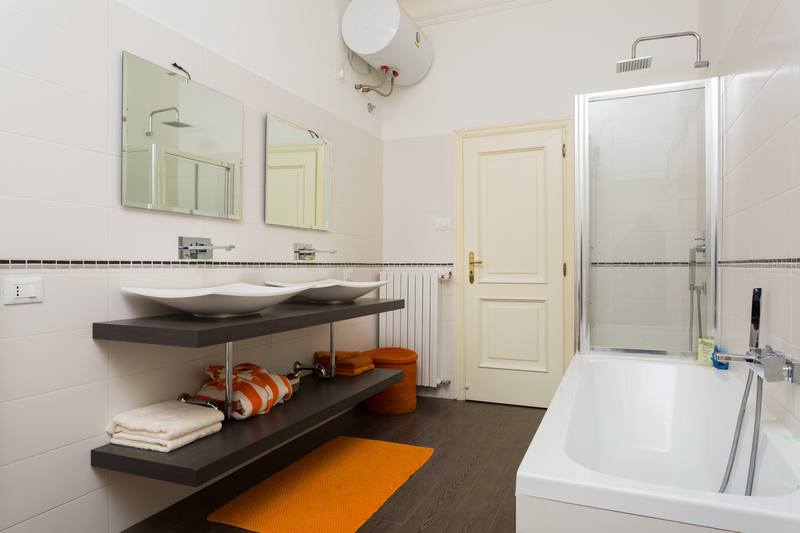 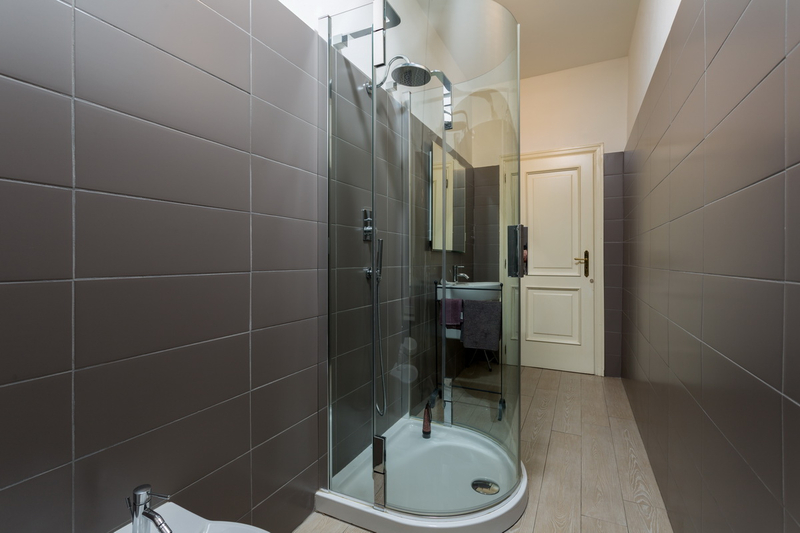 Three of the four bathrooms have been recently renovated. 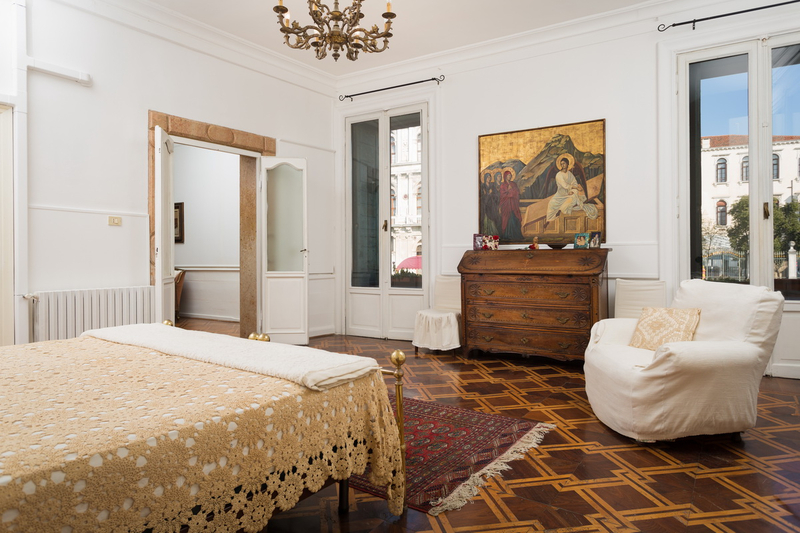 The windows, with double-glazing, date back to the time of the building, as do the inner doors. 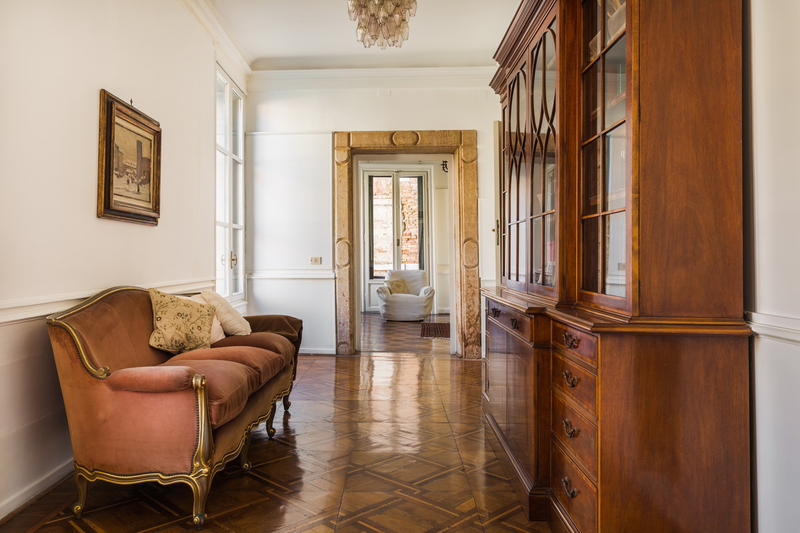 Some of the doors are adorned with a “Verona Red” marble cordon. 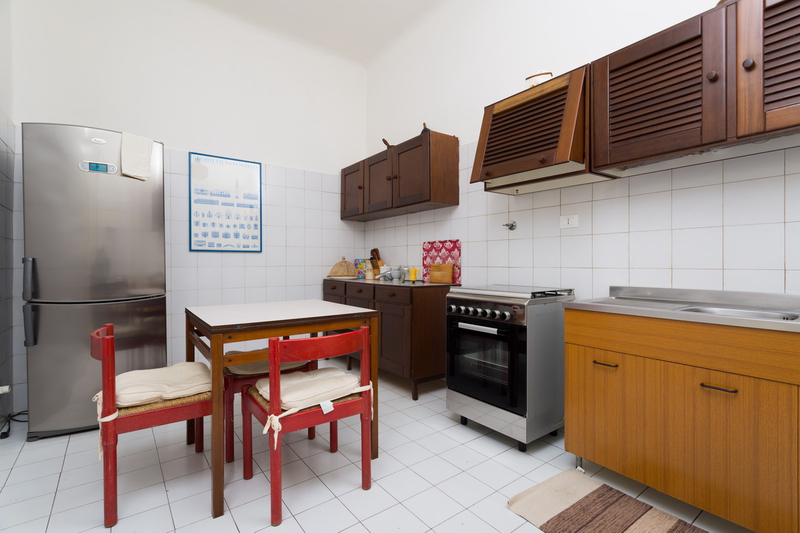 Use and potential uses Located in a central, practical area, the apartment is perfect as stable official residence or as a vacation apartment.